Installation view 2017 TARNANTHI: Festival of Contemporary Aboriginal & Torres Strait Islander Art, featuring Kulata Tjuta, Art Gallery of South Australia. TARNANTHI is a platform for Aboriginal and Torres Strait Islander artists from across the country to share important stories. It encourages new beginnings by providing artists with opportunities to create significant new work and to extend their practice. 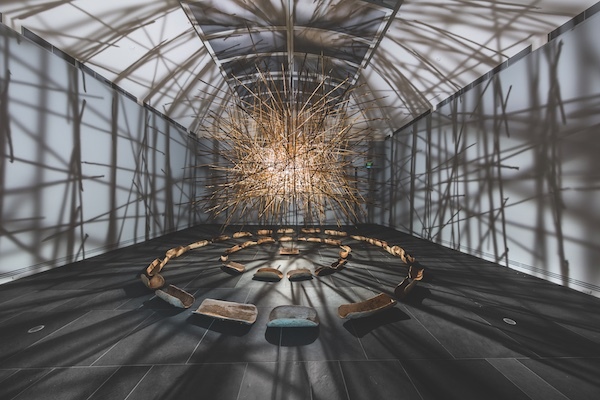 It illuminates the diversity and depth of Aboriginal and Torres Strait Islander art by alternately staging an expansive city-wide festival in one year then a focus exhibition the following year.